I’m pretty sure we’ve all made the same mistake – sitting in the sun for hours without suncream, thinking that when we wake up the next day we’ll have beautifully bronzed skin and feel a million dollars. Yeah, crazy isn’t it? Sun damage is one of the quickest ways to age your skin, and no only that but it also brings on numerous illnesses, including possible skin cancer. Something we definitely all want to avoid. The best way to avoid this? Do it yourself. Fake tan is something I have always been a fan of, mostly because I’m not too great at sitting in the sun for hours and my skin doesn’t really like to tan that way either! Not only that, it’s obvious health benefits are always on my mind. It’s easier, quicker and I don’t need to spend thousands on a holiday to get one. It’s a win win situation in my eyes. 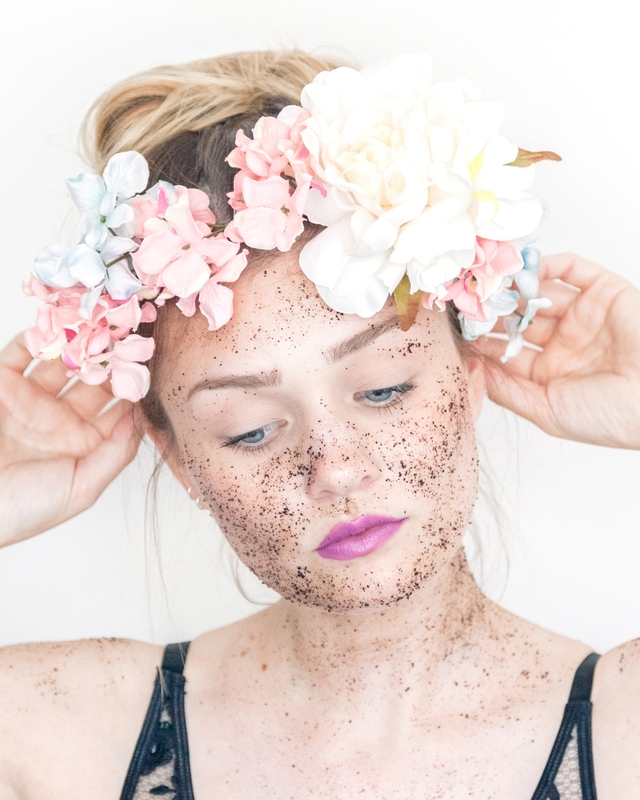 So with this little blog post, I thought it would be a nice idea to let you in on some of my fake tan secrets, including one pretty amazing scrub. 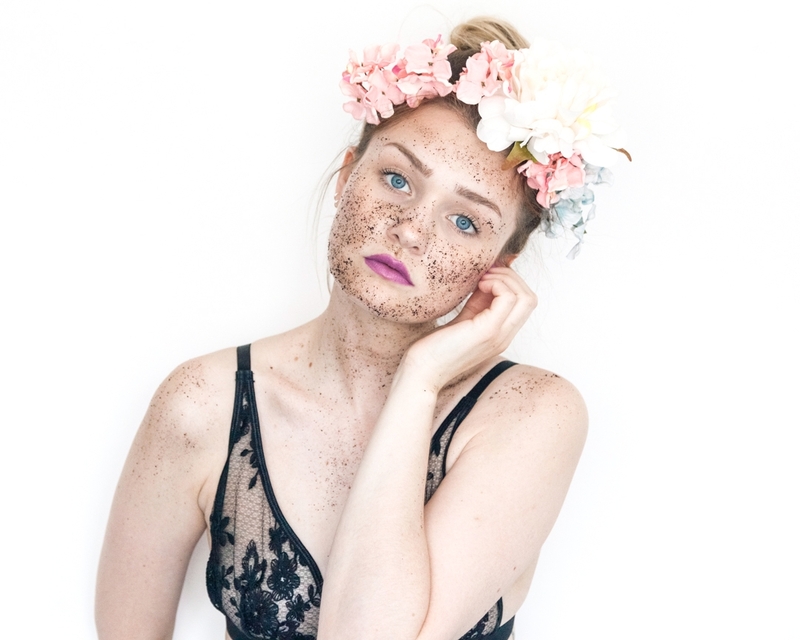 Recently I have been loving Scrub Love – an exfoliant scrub made from au’ natural ingredients. These include argan, baobab, coconut, sweet almond, sweet orange, tea tree and peppermint oils. Plus Himalayan pink salt, Dead Sea salt and sugar are added into the mix, along with the most organic coffee. 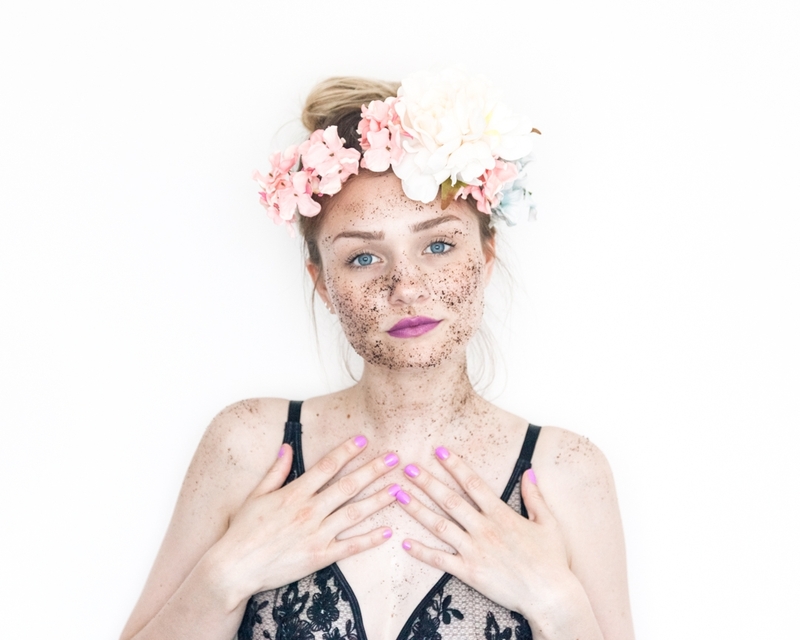 Of course, natural products are seriously trending right now and for all the right reasons. These scrubs are definitely not tested on any animals and all Scrub Love products are free from artificial colours, fragrances, parabens and preservatives. Because of this, I feel so good about smothering my body in this product, knowing that everything is natural and good for me instantly puts me at ease. When the guys at ScrubLove asked me if I wanted to write about the scrub, of course I said yes. I love writing about products I love and ones that actually work. This scrub does exactly what it says on the ‘tin’, and I just love it. 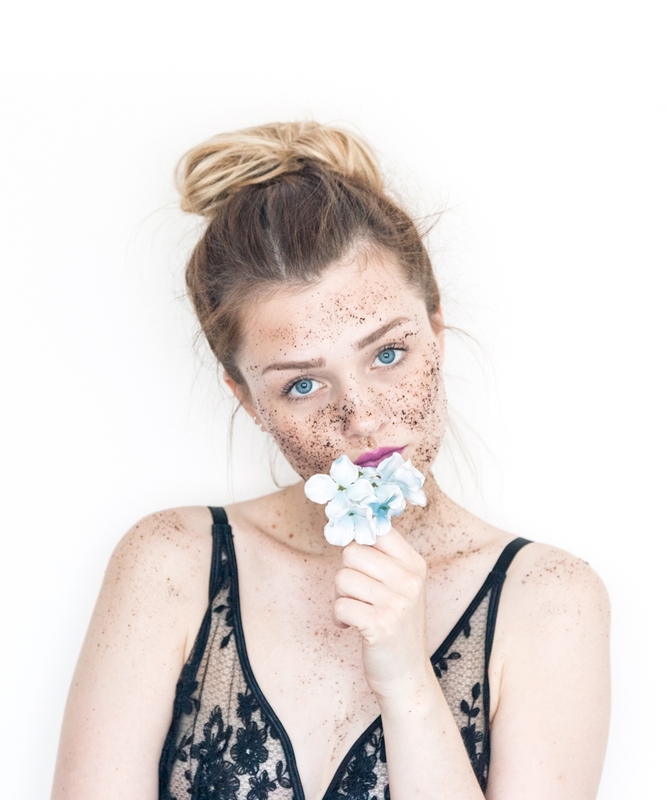 The scrub hydrates your skin, softens, moisturises and polishes, all whilst getting rid of flakes and helping to battle against pesky cellulite. For me this is perfection, 2 in 1’s are my favourite, but that even beats those products in the race to ease and keeping things simple! This scrub is the perfect product for both before I fake tan and for those times I want to remove any tan that’s lingering, as well as keeping my skin soft and smooth. It comes in a really handy re-sealable pouch, which is easy to store and looks pretty too. To use, I simply stand in the bath/shower to avoid any mess and rub all over my body. I rub the scrub in circular movements and there’s no need to rub too hard because you can instantly feel the scrub doing it’s job. 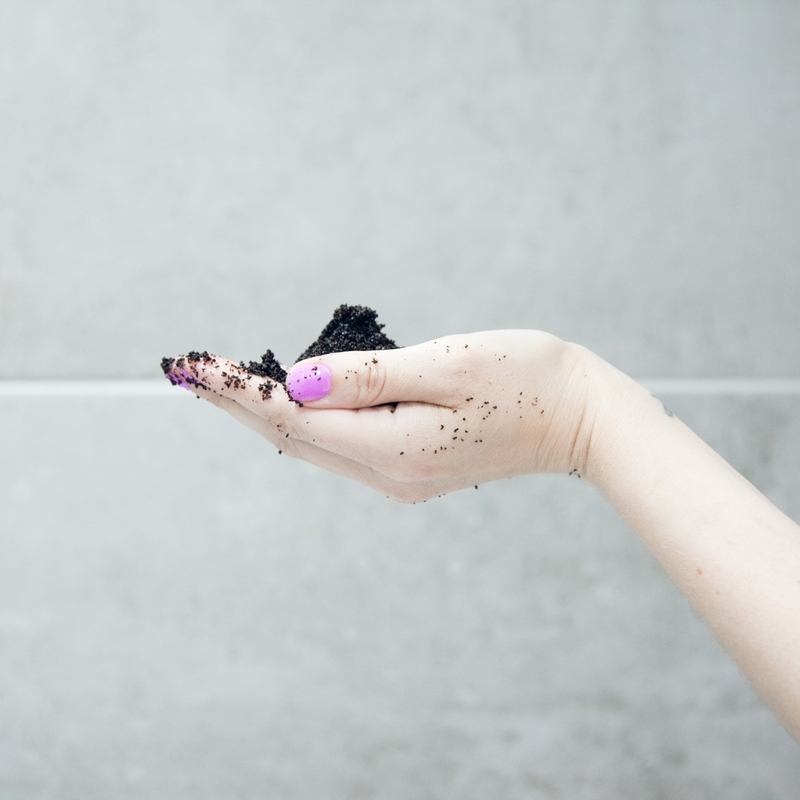 You want to rub this scrub all over, making sure you get rid of all those old skin cells. It really benefits the skin to leave the scrub on for a few minutes, so this is when I like to step out and brush my teeth/watch snapchat, do a little dance, you know… every day things! Simply wash off when ready and continue with your shower routine. When I step out the shower, my skin feels soft and fresh, which is the feeling I love most. It’s recommended you use this scrub 3-4 times a week to keep your skin looking it’s best and it’s become my weekly routine now, and my skin has definitely benefitted from it. 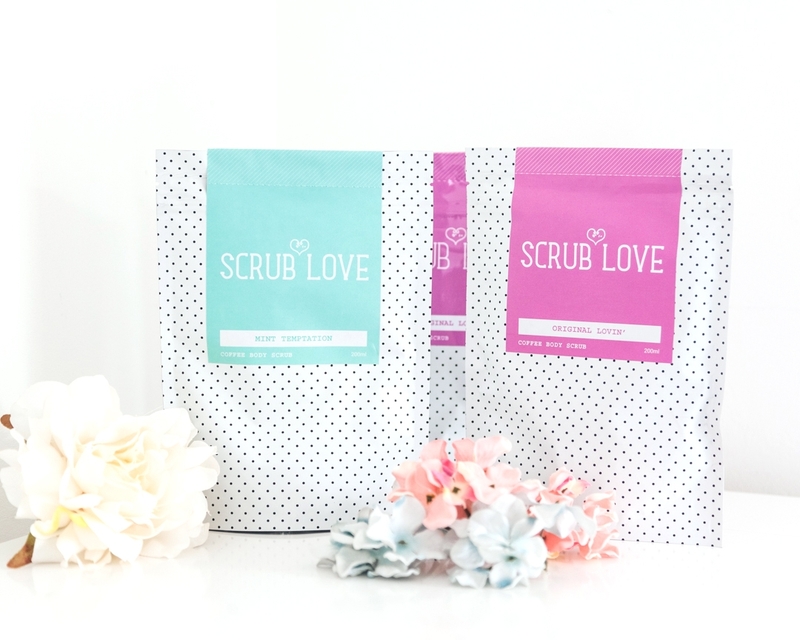 Firstly, the natural goodness of Scrub Love is what caught my attention the most. Recently I have been reading so much more about products that are filled with bad chemicals and I realised I don’t mind rubbing them into my skin. 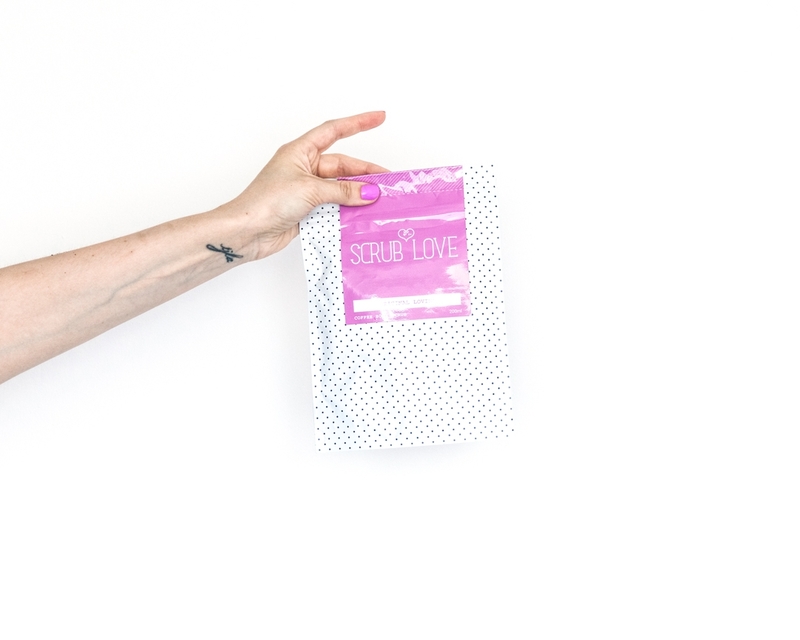 However, knowing that Scrub Love contains only natural ingredients puts me at ease and makes me want to use it more than any other product I own and have used previously! It does the job. It does make my skin feel smooth, soft and I feel fresh as soon as I step out of the shower. It works with fake tan, before & after but also works without it, I can feel the benefits and my skin feels better for using it. Lastly, I really love the branding. Whether this is something I look for as a blogger or not, I’m not sure BUT it just appeals to me. The simple design of a re-sealable pouch is easy to store, packs away flat or standing up and it’s super easy to use the product. The colours of the packs are pretty and definitely stand out to me, a long with the polkadot design. 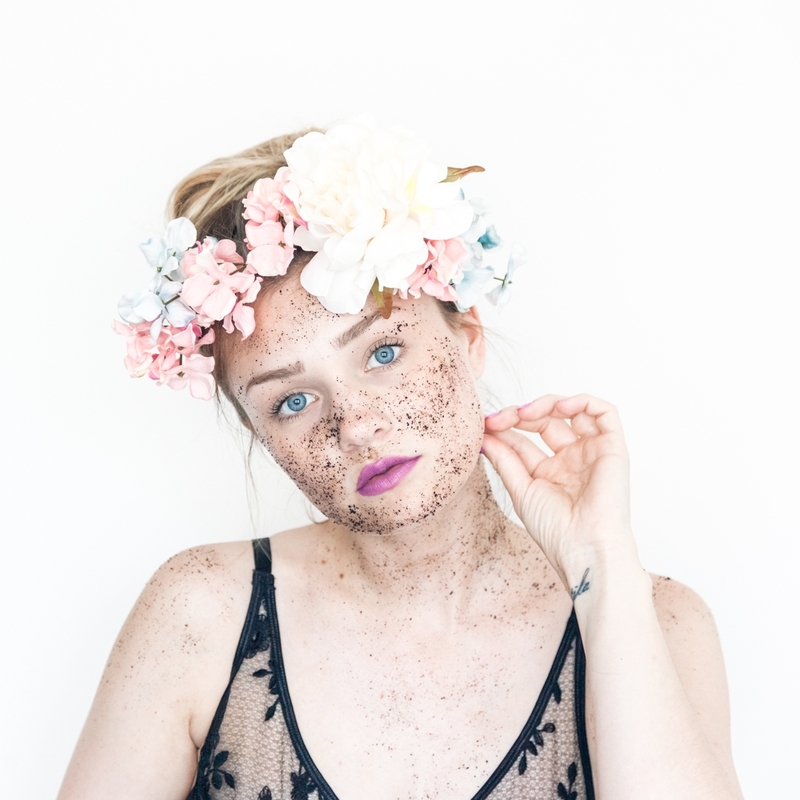 Visit the Scrub Love website! Follow Scrub love on social media! i always get so excited to see you post and this is such a creative way of doing a beauty blog post. never noticed how blue your eyes are. i love it. Oh the pictures are simply stunning! I have always wanted to try these kind of scrubs. Great post!